Recent Posts How Much Do Samarit Rollbords Cost, And Why They Are The Best Value? When it comes to lateral patient transfers, there are quite a few options on the market. However, there is one that stands out more than the rest, and that is the Samarit Rollbord. Being in the hospital equipment business since 1981, we’ve seen a lot of lateral patient transfer devices come and go. We’ve also watched them evolve into what they are now. 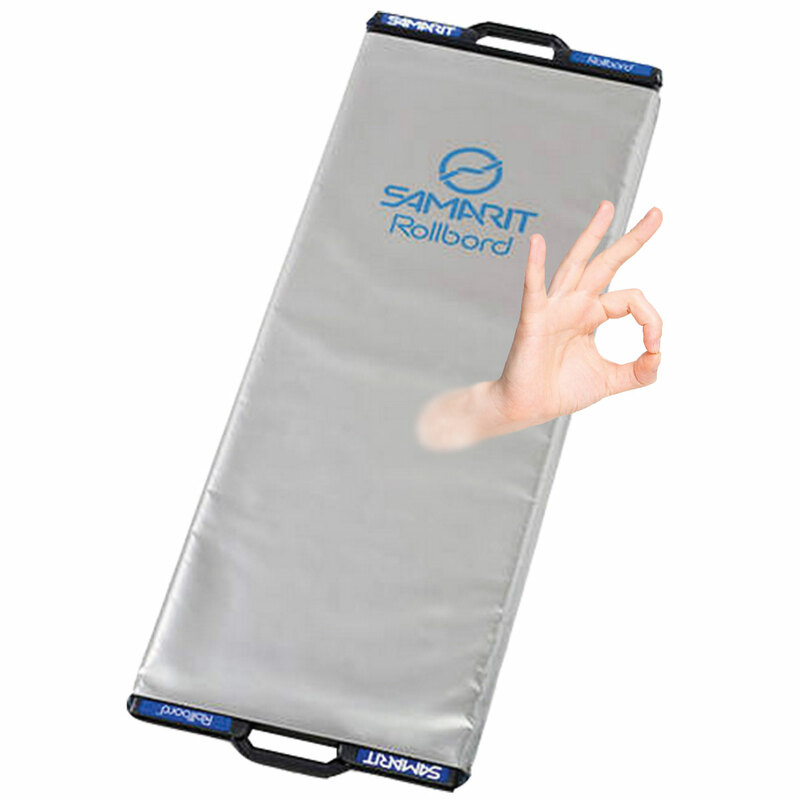 Using that knowledge and experience, and referencing an independent lateral transfer study to back it up, our opinion is that Samarit Rollbords give you the best value. As popular as they are in the medical profession, many people still don’t know how much Samarit Rollbords cost. In this article, we’re going to cover that as well as the criteria that make them the best. If we had a nickel for every time we got asked what the weight limitation is for a Samarit Rollbord, we’d literally have about $9.45. However, knowing full well that everyone still needs to know what the weight limits are for lateral transfer devices, Samarit came out with the following guidelines. Please keep in mind that these are not specific to every patient. 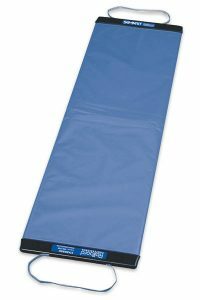 *With obese patients you must use a pull sheet in order to keep the ‘body fat’ under control while transferring and pulling over the Rollbord. If body fat cannot be controlled due to some unknown reason, we suggest using a lifter or sealing lifter for the security of the patient. With obese patients you must make sure that the support (stretcher/bed etc.) can hold the weight of the patient. The above “weight limit” is based on different influences when a patient is transferred such as: body weight, shape due to body fat, other health conditions, supporting stretcher as well as experience of staff in moving and handling. The ‘weight limit’ is a guideline to help improve the security of the patient and staff. As for design and overall quality though, they do differ a lot. The Hightec rollbords are the premium patient transfer board and have a 3 year warranty. The Professional and Blue have a 2 year warranty. The biggest difference is that the Hightec boards have a very nice moulded integral polymer handle, which is unobtrusive and easy to keep clean. The Professional and Blue series have straps, which are more susceptible to breaking. The straps also are prone to hooking on things and aren’t as user friendly as the polymer handles. The Hightec series is available in 5 sizes. The Hightec boards cost 10 to 15% more, but it’s a very worthwhile investment. In fact, we recommend you just get the Hightec boards as you truly will be much happier with them. 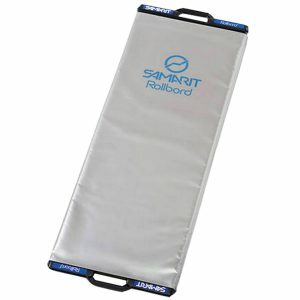 Want to protect your Samarit Rollbord from dirt and blood? 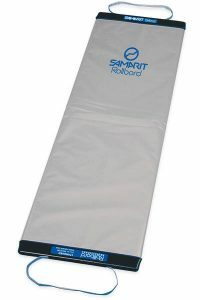 You can spend a few more dollars and get disposable covers to help extend the life (and therefore value) of your Samarit purchase. Now that you got the covers, why not get a cover dispenser to facilitate the placement and storage of the disposable covers? 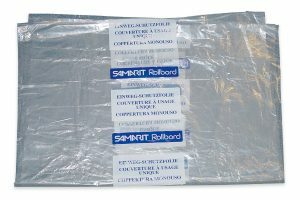 Why Are Samarit Rollbords Considered The Best? Not only do they come with all those great standard features we mentioned earlier, but they also facilitate lateral transfers without any type of lifting, are noiseless, and provide the patient with a more comfortable surface than other transfer boards. They get the job done quicker and easier than other transfer devices. Don’t believe us? Check out this independent study that uses a factual thing called science to determine peak forces! 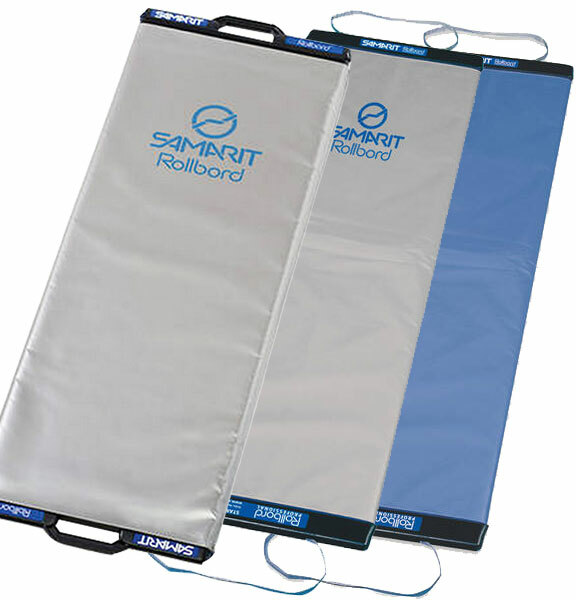 Samarit Rollbords are less expensive than most other systems, including air-assisted devices. How Can You Start Saving Money And Your Nurses’ Backs? Well, you could start by taking inventory of what you currently have and what you need. Then, fill out the form below to get a customized quote from Meditek. And hey! It’s beneficial if you buy in bulk as you’ll get a better price!